I know there hasn’t been much popping up here on the blog lately. My excuse is definitely craft market preparations. 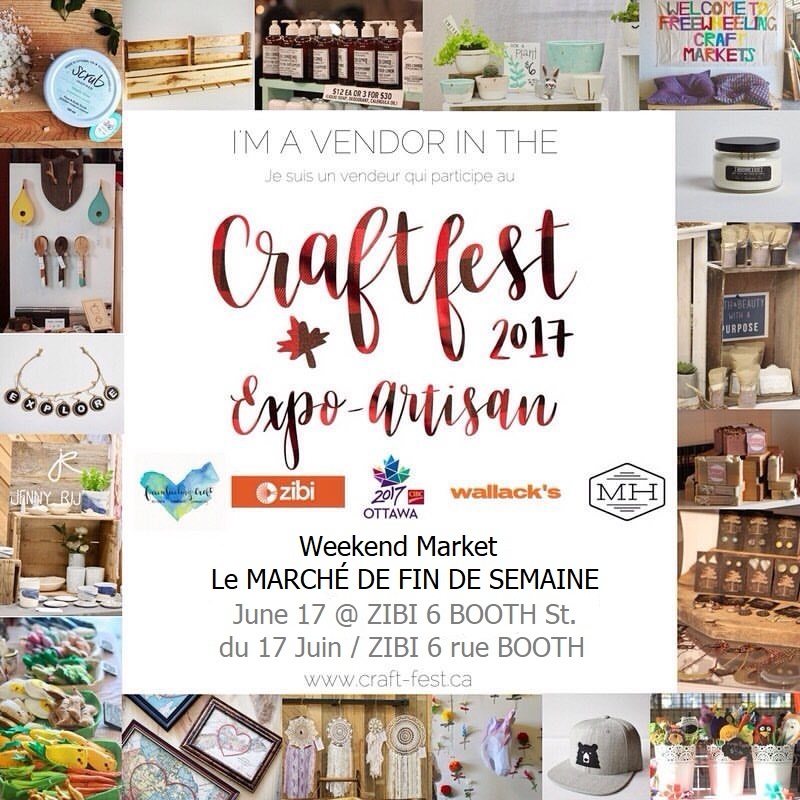 If you are a local please come and check out CraftFest 2017 this weekend. The market will be held on Albert Island which is not far from the War Museum. There will be close to sixty vendors on Saturday and you will find me at the Paper Duet booth with The Crafty Cigale and guest artist, Connie Schulz. We will have cards for all reasons and seasons along with bookmarks, gift tags and wine tags. I would suggest parking at or near the War Museum then walking the short distance across the bridge to Albert Island. Directions. My recent gilded cards will all be on sale at the market including this bright blue and silver one. 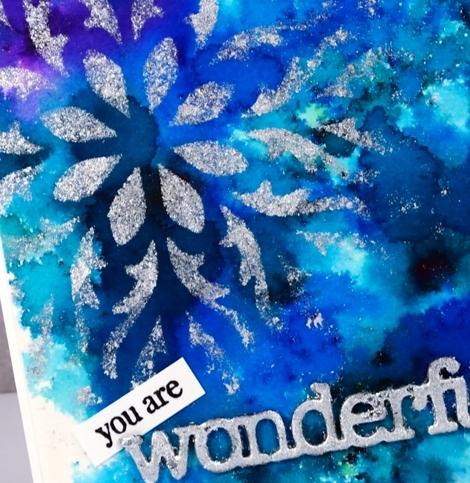 I used a Penny Black stencil and the Tsukineko Essential Glue pad. I sponged the glue onto a panel painted with colorburst powders. After removing the stencil I added silver gilding flakes. I used the same technique mentioned in my previous post to create a gilded sentiment and tucked a little stamped ‘you are’ in behind the silvery die cut ‘wonderful’. I will be back on Friday with an exciting post the Foiled Fox and I have dreamed up. Make sure you check back in. 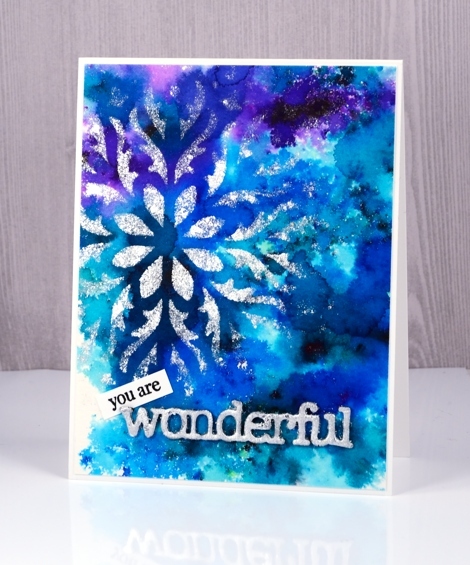 Oh, this is so wintry gorgeous! I love blues!!! I know you will do brilliantly at the festival, Heather! Enjoy ♥ !!! Love the look of this card! No doubt you will have a wonderful CraftFest. Those who are able to attend an purchase your cards will be very fortunate! ND We would love to ‘drop in’ at your market stall, but we have another happy engagement- attendance at your niece’s wedding. We pray that both events are happy occasions. I can only imagine how this card looks in person. Wish I could be there. You always have such lovely ideas. Thank you for sharing your process.